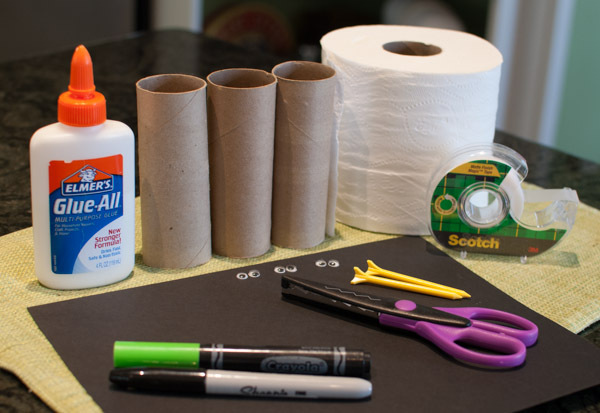 Grab your toilet paper tubes and get ready to make some festive decorations with the kids. 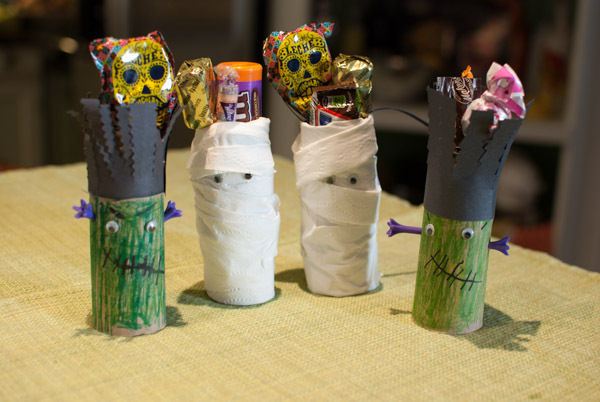 Are your kids asking to decorate the house for Halloween already? Mine are. We made some Halloween décor using materials we had at home and I bought myself another week. 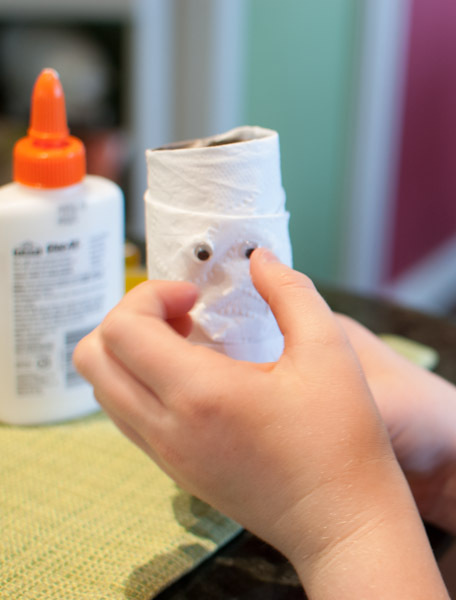 Help your child tear off a piece of toilet paper about two feet long, fold it in half and tape one end to the toilet paper tube. Wrap the toilet paper around, crossing it. It will look better if the wrapping is imprecise. Glue on some googly eyes. 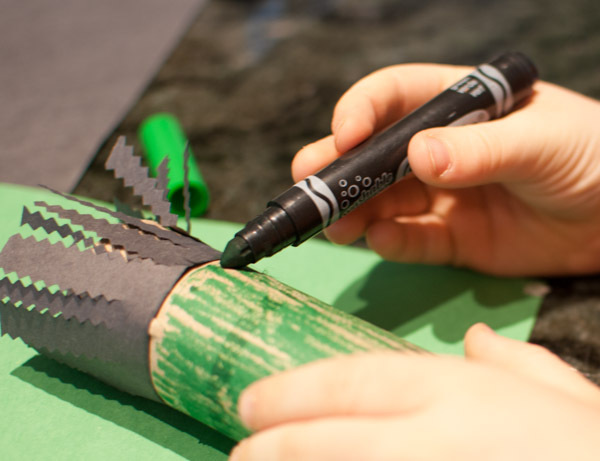 Have your child color the tube light green. Cut a piece of black construction paper approximately 3-x-7-inch. Use scissors to cut “hair” along the length of the paper without cutting all of the way. Tape this to the top of a toilet paper tube. Poke small starter holes in the side of the tube and insert golf tees. Glue on googly eyes and draw a scar for a smile. 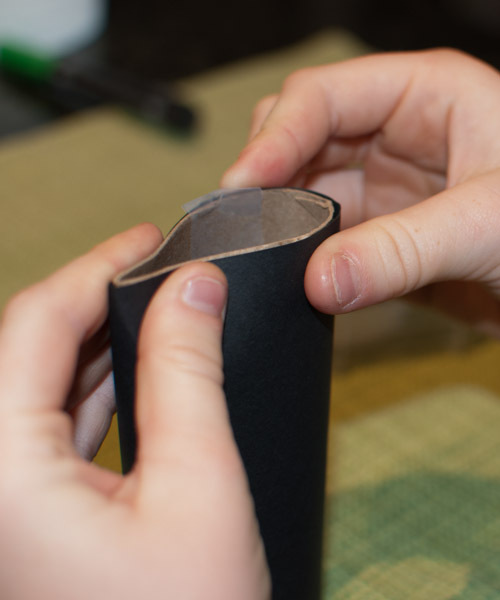 Cut a piece of black construction paper that will fit the toilet paper tube. Help your child tape it on. 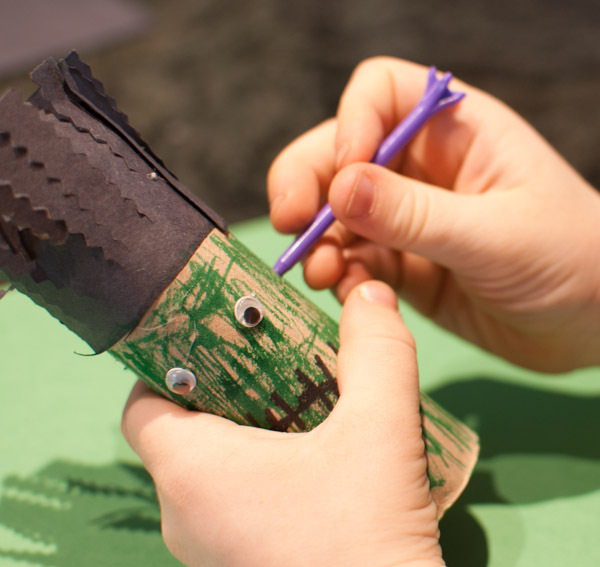 Push the top of the tube down on each side to create bat “ears.” Cut some wings and tape them on the back. Add googly eyes. Use these pieces as part of a Halloween garland or as table décor. 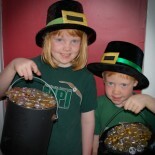 Isabella thought theirs would look good with candy poking, which means they make great goodie bags. Thanks to tonyastaab.com and notimeforflashcards.com for the inspiration! 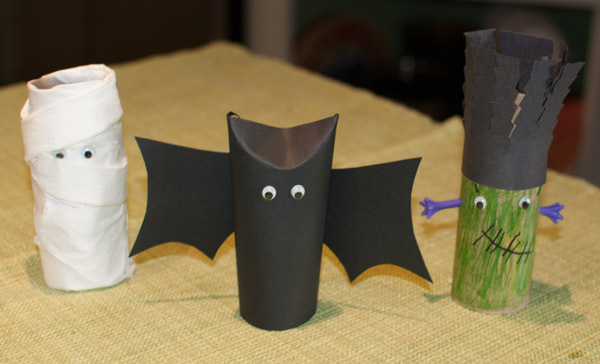 This entry was posted on October 5, 2015 by mdaucello in Crafts, Halloween and tagged bat, cardboard, craft, frankenstein, Halloween, mummy, roll, toilet paper tube.